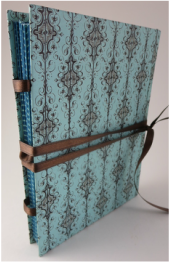 ​This week is all about paper and books! 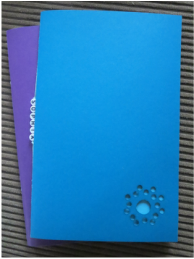 We'll make paper using recycled office paper, which you can use as stationery or in your own hand-bound books. 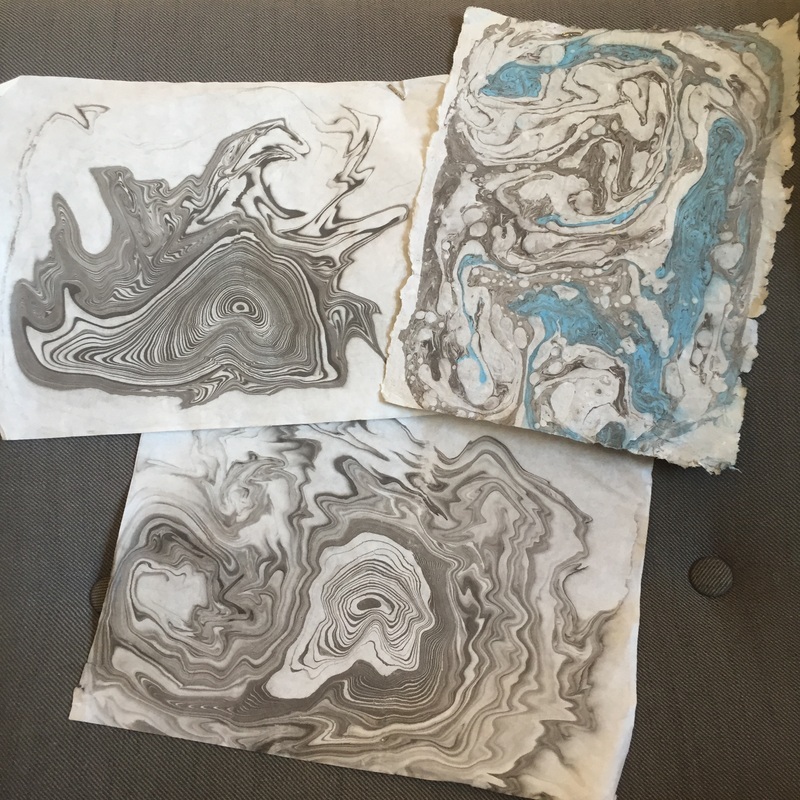 We'll explore the world of decorative paper by creating marbled paper and paste paper, which can be displayed as an artistic print, used as stationery, or used to make books. 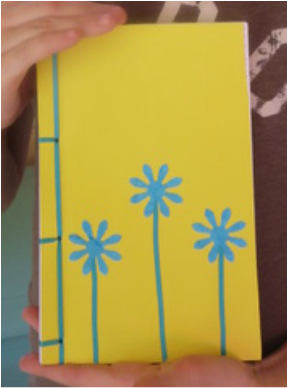 And we'll make fun books, using at least three different techniques. Please note: Due to the logistics of ordering and building equipment, you must be registered by one week before camp starts (see date above--with non-refundable deposit paid, due at registration), and you must be paid in full by the end of the day Friday before camp starts. 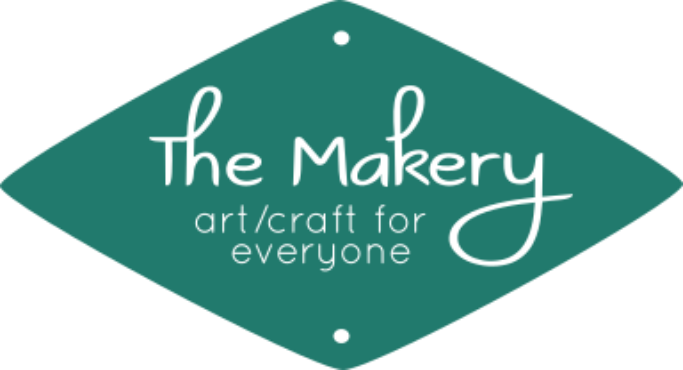 All camps will take place at our studio space, The Makery, at 107 E. Broadway, Studio #6 (upstairs in the Isaac N. Cohen Building, at the NE corner of Bullard & Broadway, entrance on Broadway). 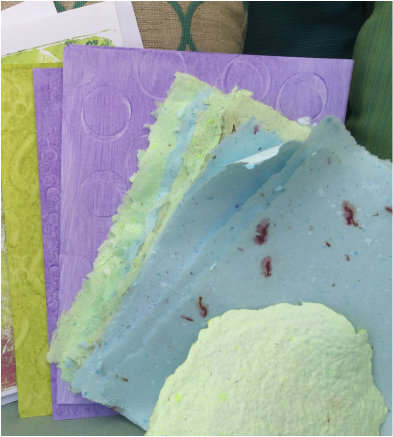 In addition, during this Bookbinding Camp week, one of our class days will take place at the camp director's home studio (because papermaking is a wet and messy process!). More details will be given after registration. Please note: Our studio is located up one flight of stairs, and there is no elevator access.